Ohh! Poor Will, Poor Tessa, Poor Henry, Poor Jem, Poor Jessie, Poor Sophie, Poor Charlotte I walked with them, smiled with them, and lived with them. 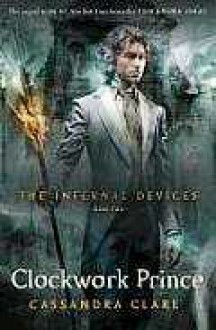 I never thought I would read a book such as splendid as Clockwork Prince. I don't want to stop reading the book until I found the last page.